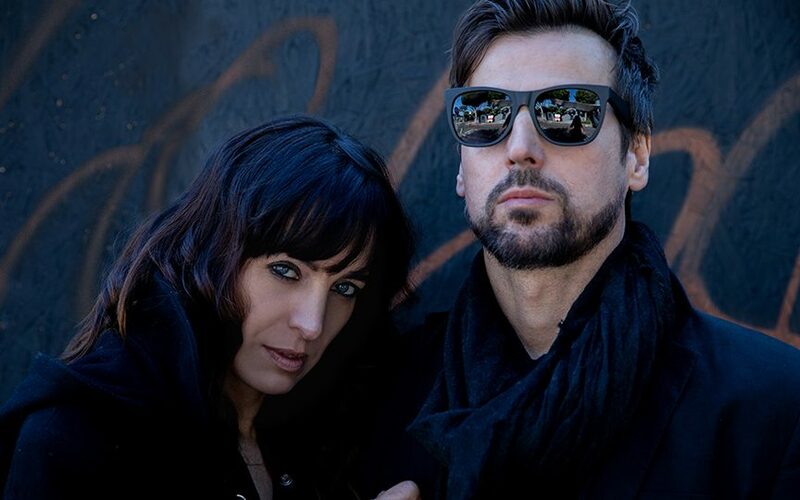 Our Lady Peace singer Raine Maida and his wife, accomplished singer-songwriter Chantal Kreviazuk, opted to work together they probably weren’t sure what the end result would be. However, fans of both will probably lap up the debut effort from Moon Vs Sun entitled I Am Going To Break Your Heart. It’s also the title of a documentary made during a brief period spent in Saint Pierre and Miquelon, the small French isles off the coast of Newfoundland. That initial song served as a catalyst, leaving husband and wife with enough downtime between their own busy solo schedules to book hotel rooms and make the trek to the remote islands. The duo, who launch a Canadian tour in May which hits Toronto’s The Great Hall on May 7, had previously visited the remote locale. It was a place Kreviazuk said they were keen on revisiting. The pair say the toughest song to complete was “I Love It When You Make Me Beg” which served as a cornerstone for the film. Maida added the creative and artistic push and pull between him and Kreviazuk resulted in stronger material. “Fight with each other and get a song,” Kreviazuk adds. Another song the twosome garnered attention for was the upbeat “Lowlight,” a song Maida says ended the film on a “celebratory” note. The documentary was screen in select cities including Los Angeles at the famous Mann’s Chinese Theatre as well as in Calgary, Toronto and Winnipeg. The couple says each one has been unique but the biggest thrill is the audience’s reaction to the documentary. As for touring both are eager to hit the road to perform, concentrating primarily on the Moon Vs Sun material but also able to reinvent solo material by Kreviazuk and Our Lady Peace songs. Maida adds that while both are returning to their individual projects on the horizon, the foundation has been laid for future Moon Vs Sun projects. That synergy seems to be at the core of the couple’s songwriting process. It’s something Maida sees as their biggest asset.